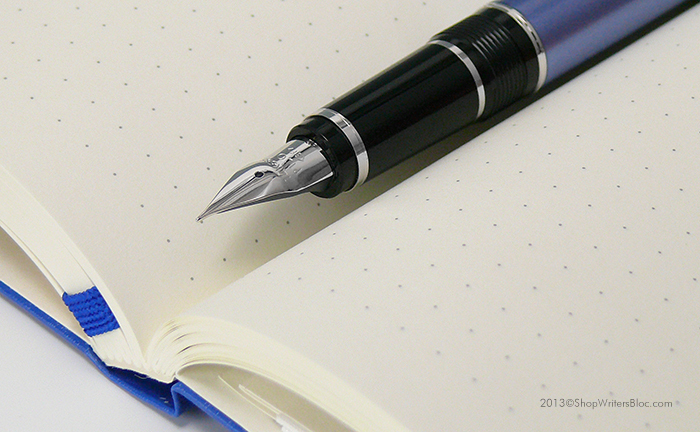 Great news for dot grid paper fans: the Rhodiarama soft cover notebook with dot grid paper is now available in the USA! 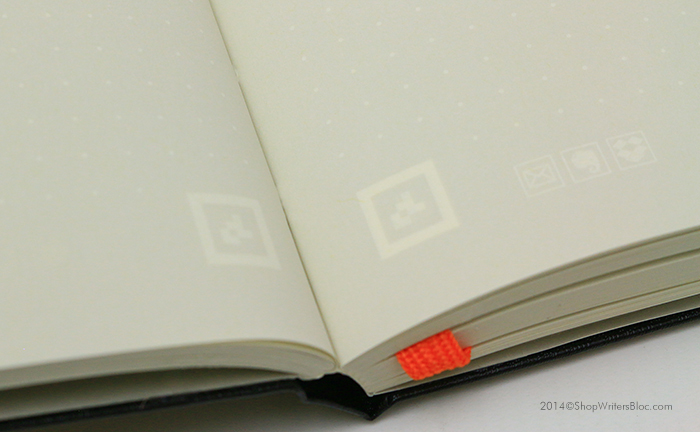 The paper is ivory in color and has a subtle grey dots printed in a 5 mm x 5 mm grid. These dots are meant to be an unobtrusive guide to your writing and sketching and they are also great for Bullet Journaling. If you haven’t already heard of Bullet Journaling it’s a simple and effective method of organizing your notes as you take them. 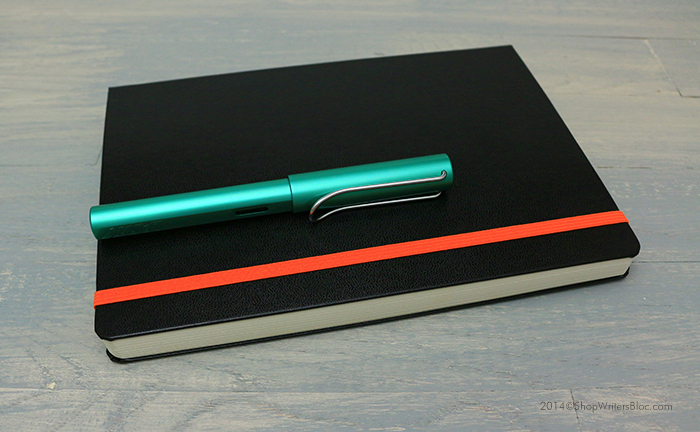 The Rhodia Drive blog has a series of blog posts on Bullet Journaling to get you started. 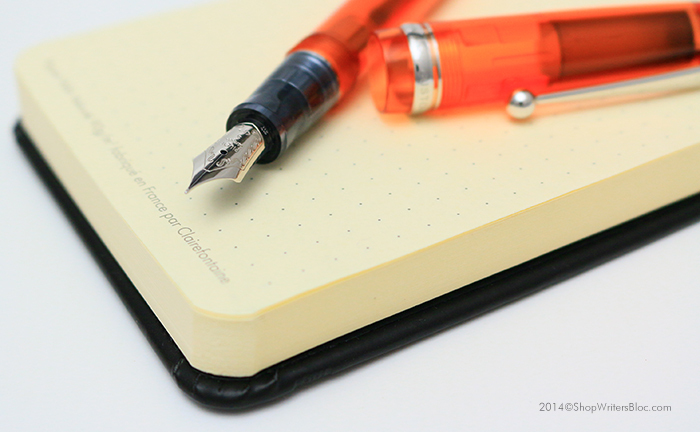 The 90g high quality paper is fantastic for fountain pens! 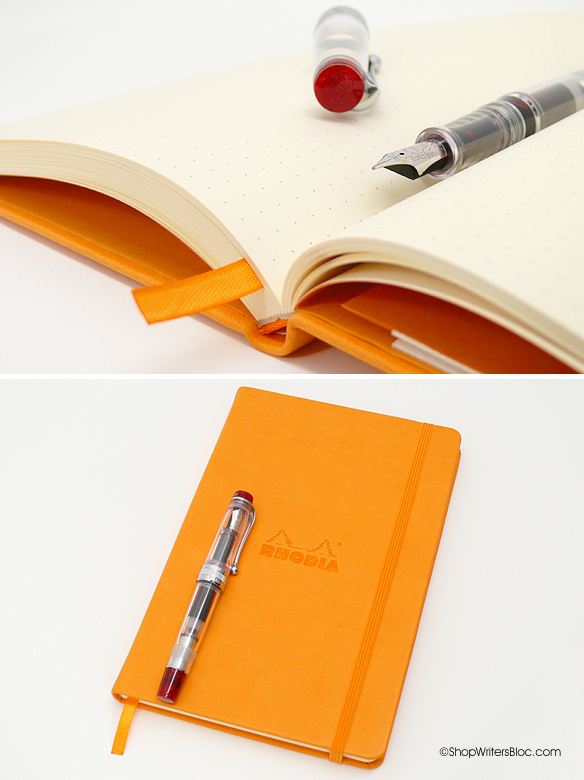 Do you use Rhodia notebooks? Which one is your favorite? 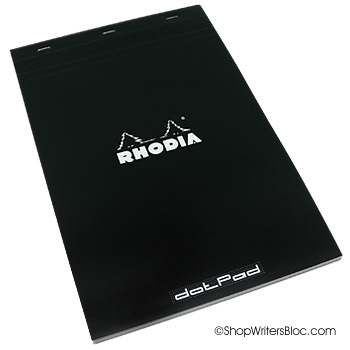 2010 is when Rhodia first introduced us to the dotPad: a familiar Rhodia bloc filled with a paper unfamiliar to many, dot grid. What is this dot grid paper you say? Instead of lines or graphs or nothing at all this paper has a grid of tiny dots that guide your writing, notes and sketches. It feels less cluttered than lined or graph paper, but it still provides a subtle way to organize where to place things on the page. The original dot grid paper offered by Rhodia is 80g bright white with a 5 mm x 5 mm grid of pale violet dots. The following year, in 2011, Rhodia brought us Webbies with 90g ivory paper and a 5 mm x 5 mm grid of pale grey dots. 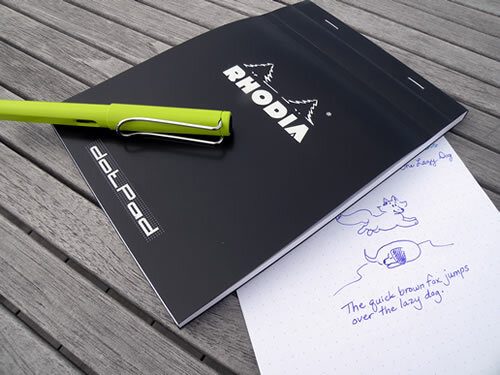 Both of these types of paper live up to Rhodia’s high standard of quality and are fountain pen friendly. 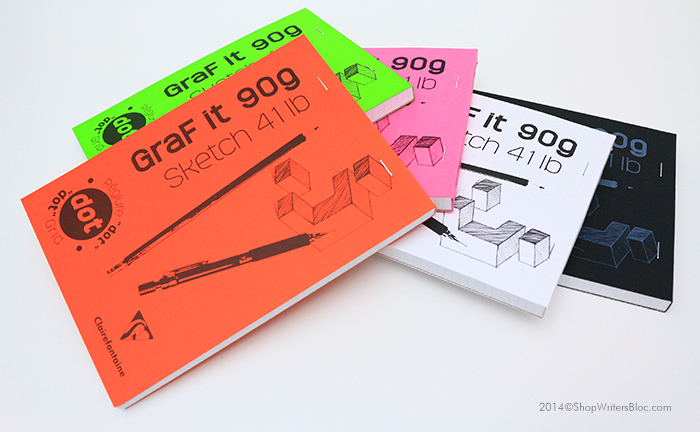 For those of you who like to do your drawings and notes with a pencil, Clairefontaine created Graf it Sketch Pads with 90g dot grid sketchbook paper. They have matte textured paper with a bit of tooth to it, making it especially suitable for drawing with pencil. 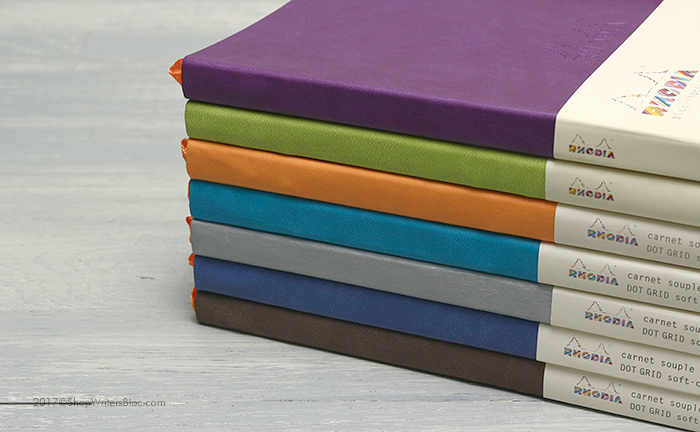 We stock both the large and medium size sketchbooks. Leuchtturm1917 also has a Whitelines Link journal that contains light grey paper with a subtle 5mm grid of off-white dots to guide you while you are sketching or writing. The dotted background disappears when you copy, scan or fax this paper. Handwritten sketches and notes can be digitalized using a smartphone app with automatic capture and then the dots disappear. Pretty high tech for a notebook! Dot grid notebooks first arrived in our shop way back in 2010 and they have been best sellers ever since. What’s your favorite dot grid notebook? Have you tried dot grid paper? It’s the new freckled kid on the block! In contrast to traditional wide rule, college rule, narrow rule, French rule, graph, grid, blank or plain paper, dot grid paper has a grid of evenly spaced dots designed to be subtle guides for your writing or sketching. Frequently these dots are spaced at 5mm intervals across the page and could be compared to the intersections of the lines on 5mm graph paper. However, since there are only light colored dots instead of the busy lines on graph paper, the dotted format is a much less intrusive way to guide your pen or pencil across the page. If you wanted to give dotted paper a try, what options are available to you? This blog post is our shopping guide to some of the dot grid paper we love. 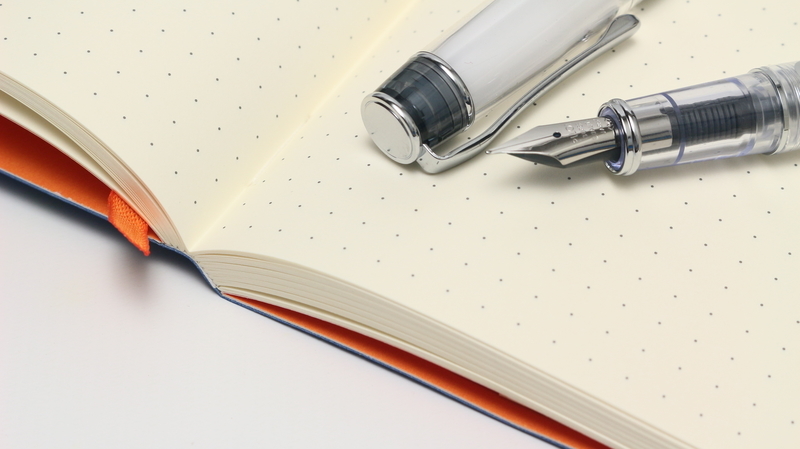 The dotted Rhodia Webnotebook has deliciously smooth ivory colored 90g paper that pairs well with fountain pens. 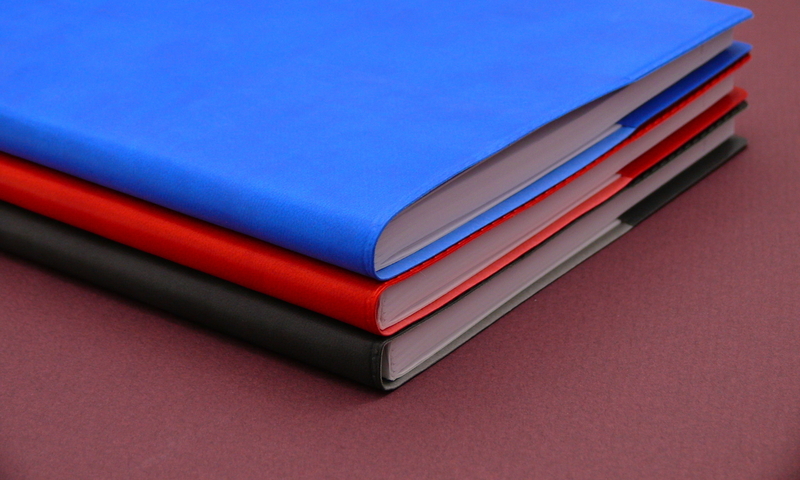 The Italian leatherette hard-cover comes in either orange or black, and the journal comes in both medium and pocket sizes. 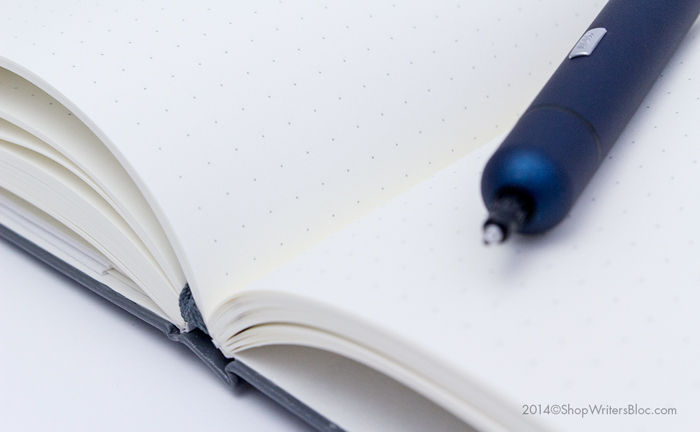 Leuchtturm1917 makes a classy hard cover journal with quality 80g off-white dot grid paper. A cool feature of these journals is that they have numbered pages and a blank table of contents so that you can easily find your place when you need to. When you need to take notes or make sketches on the go a reporter style notepad sure comes in handy. 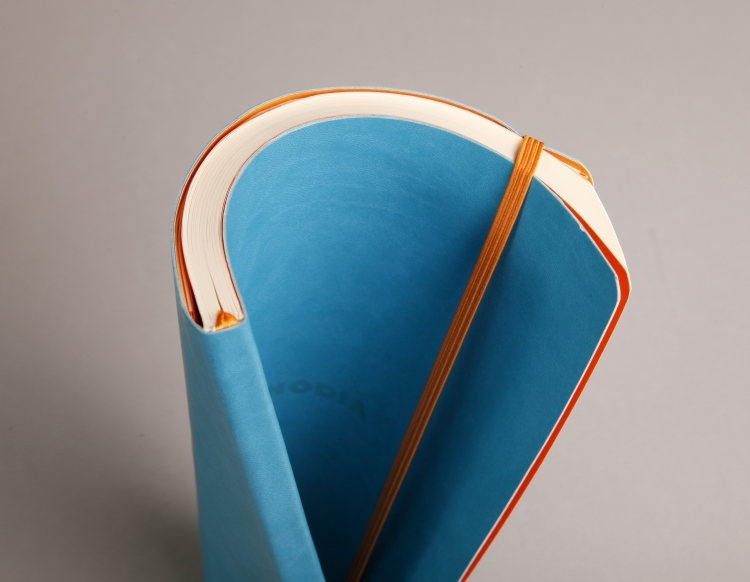 Take some dotted paper on the road with the Rhodia Webnotepad. 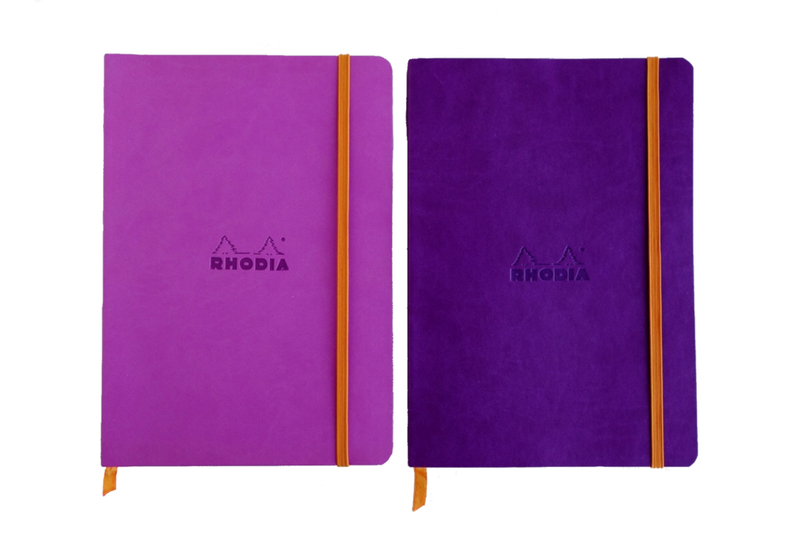 Rhodia DotPads have bright white paper with a 5mm grid of pale violet dots. These notepads are so versatile you can use them just about anywhere! When you frequently use a pencil for writing or drawing, paper with just the right amount of tooth is much appreciated. The Clairefontaine Graf it Sketch Pad has white 90g acid-free paper with a subtle grid of pale violet dots. 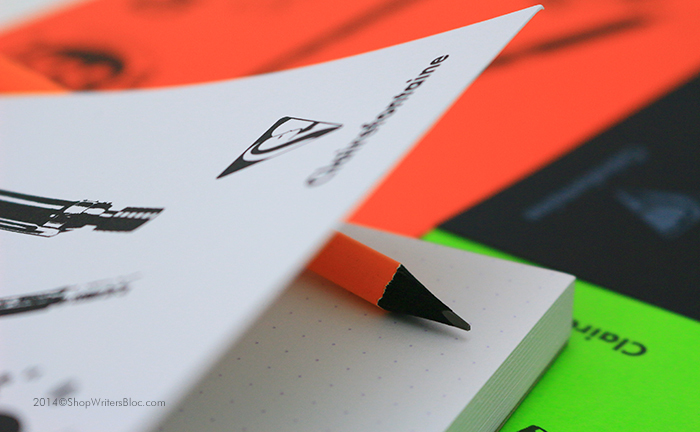 These notepads are versatile enough to be used as either a sketchbook or a notebook. What’s your favorite dot grid paper? What do you like to use it for?